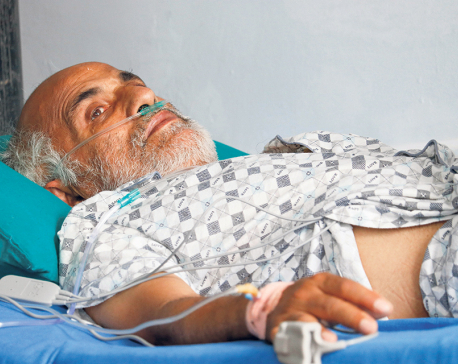 JUMLA, July 15: Ganga Mahat of Khalanga, the district headquarters of Jumla, has been participating in the latest fast-unto-death of senior orthopedic surgeon Dr Govinda KC for the last eight days. She has been continuously extending her support and solidarity to Dr KC by urging others to join him to pile pressure on the government to address his demands. Like many other youths in Jumla, these days she cares less about her family but is more concerned about the agitating doctor's health. Dr KC has won the hearts of the people of Jumla by becoming their voice. "I have started feeling a bit weak due to regular protests but that does not mean I will stop participating in his protest," said Mahat. She feels pressure created by the protesters so far is not enough to bring the government to its knees.That is the reason why she is trying to formulate some strategies to woo more supporters. "The government should not take Dr KC as a single person as he represents the whole Karnali," she added. Locals here don't want Dr KC to leave their place until his demands are addressed. They have been warning to foil the government's efforts to forcefully airlift Dr KC back to Kathmandu.Kanka Khatri of Jumla also warned the government to stop making preparations to airlift Dr KC before addressing his demands. "He represents the people of Karnali and the government should understand that," said Khatri. 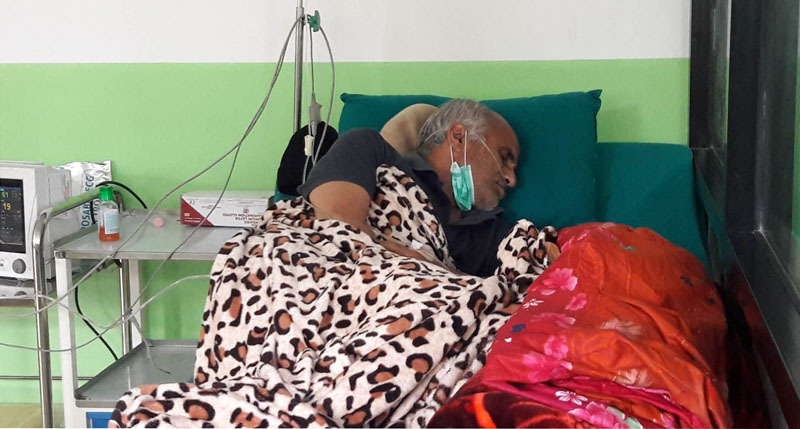 The government has been urging Dr KC to come to discussion before reaching a conclusion but Jumla locals have been taking it as a ploy to make him weak. "We are very much aware about the strategy of the government. All it is trying to do is to make Dr KC weak," Khatri added. The protesters have been planning to vandalize the helicopter when and if it arrives to airlift Dr KC. "The government can't disrespect the god of the poor," said Khatri with eyes full of anger. Bringing Dr KC back to Kathmandu has been very challenging for the government due to the pressure of Jumla locals. People here have taken Dr KC's protest as a battle against the government and are trying their best to defeat it. The protesters have even stated that they are ready to do anything for Dr KC even if they have to go to jail. They have also said that the government should hold talks with Dr KC in Jumla instead of Kathmandu. "Dr KC's death will be the death of whole Jumla locals," said Chufa Khatri, another local, adding, "We want the government to save him to save us. But the talks must be held in Jumla instead of Kathmandu." 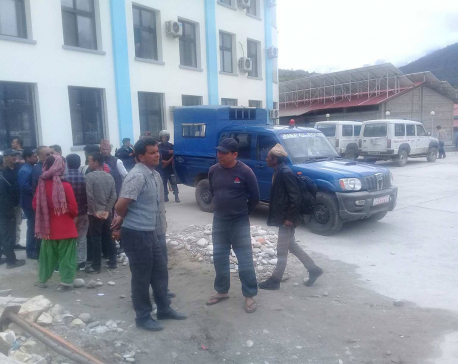 The locals have warned of padlocking the District Administration Office (DAO) to pressurize the government to to address the demands of Dr KC as soon as possible. Currently, DAO area has been marked as protest-restricted area. "If the government shows no signs to address Dr KC's demands, we will have no option other than padlocking the DAO," said Khatri. According to the locals, the government has always neglected Jumla when it comes to development. Caption: Women participating in a protest on Saturday in support of Dr KC.